Are you ready to finally share your voice with Power & Grace? Our work together will go way beyond helping you step onto more stages with your message. 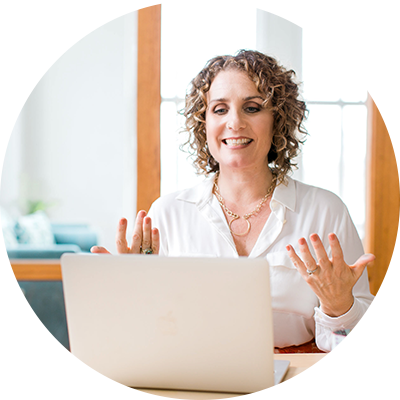 Many of my clients use our work together to write their book, be a frequent podcast guest, publish industry articles – and simply talk about their heart’s work in a way that resonates and lights others up. I’d love to help you do all of these things with ease and joy, too. That message that lives in your heart – whether it’s as clear as the light of day or feels like a swirl of knowing searching for words – is meant to serve in our world. We know because you feel that call to share it. You Can Do This. I’ve Got You. I’m here to guide you into bringing your voice to those who need it – through your great speaking, your message clarity overall and all of your interactions on behalf of your difference in the world. Together we’ll dive deep into what your heart is called to say and turn that into a message, a talk, a book or your overall business expression. We’ll explore your stories – personal stories, client stories and the stories all around you – that help you serve through your speaking and beyond. If what you are reading here resonates there is a very good chance you’re ready to leap into sharing your voice and telling your story. I’m here to help. Let’s have a quick call to talk about your vision and how I might be able to help you bring it to life. Click the button below to apply for a call. I can’t wait to learn more about you!